AvPlan EFB now includes a global database of controlled and special use airspace. No matter where you fly you can plan to avoid airspace during pre-flight planning and also receive airspace notifications as you fly. To view airspace as an overlay on the maps, open AvPlan EFB on your device and tap Map Settings, View Items, Airspace to add that overlay. 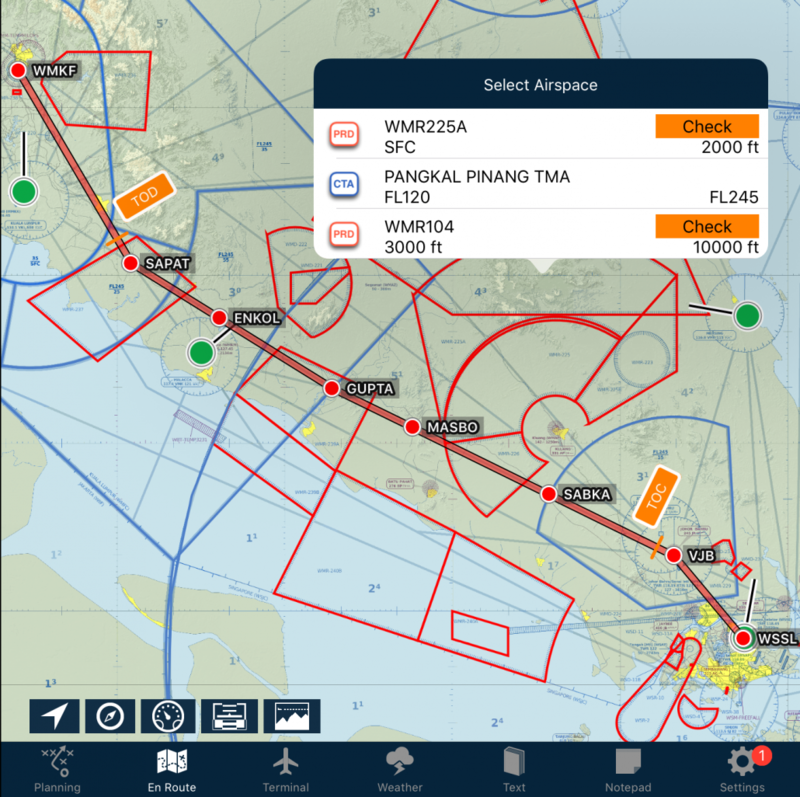 The airspace database is fully compatible with the AvPlan EFB Virtual Copilot. No special actions need to be taken to download this database – AvPlan EFB will automatically download and save the required data for the regions you have selected.